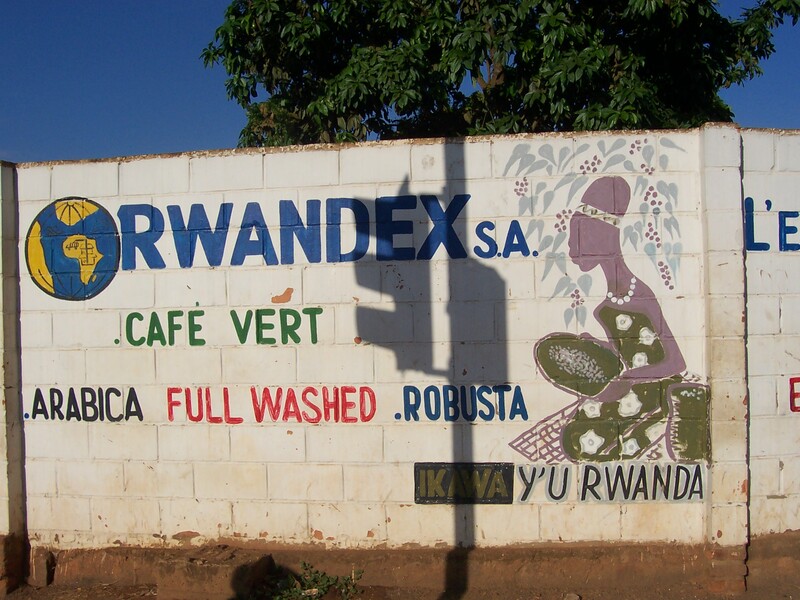 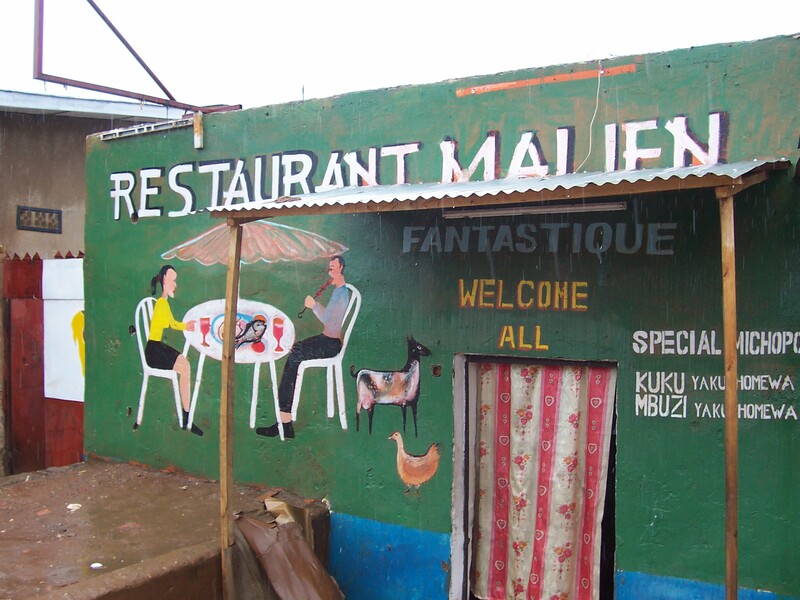 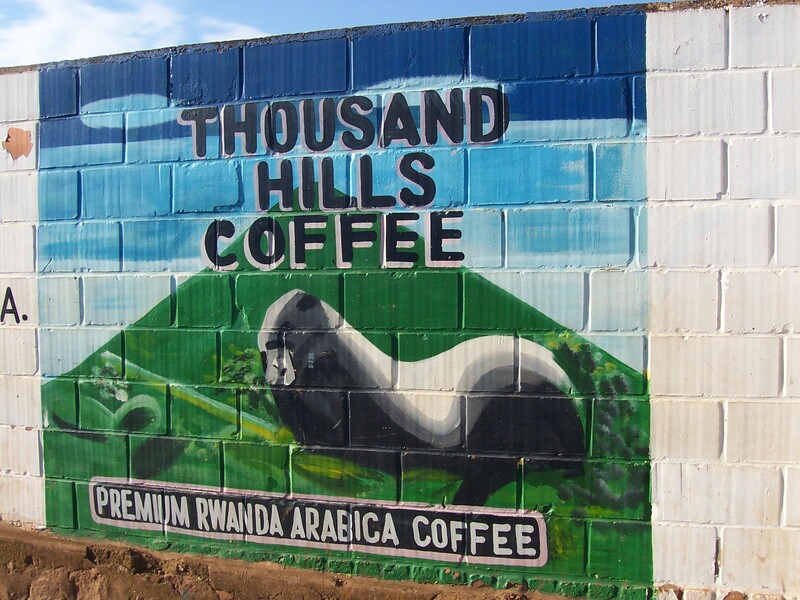 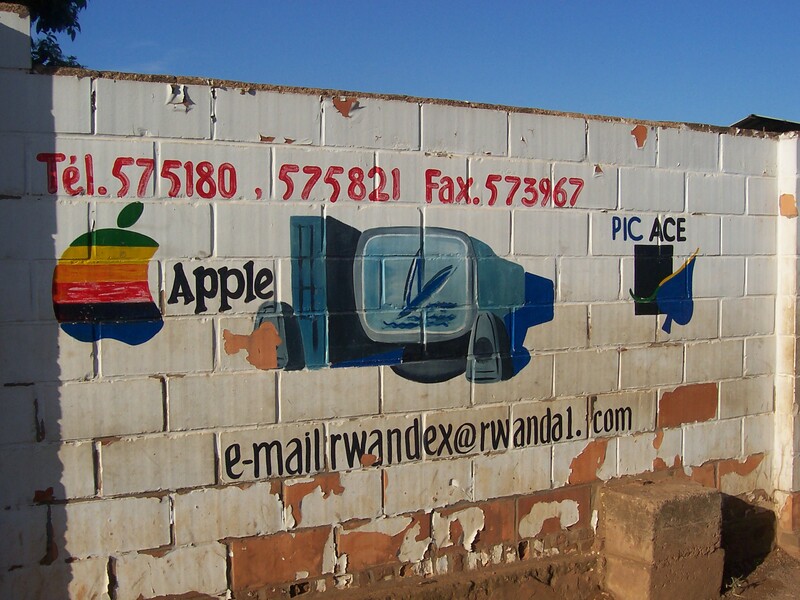 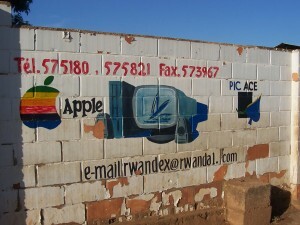 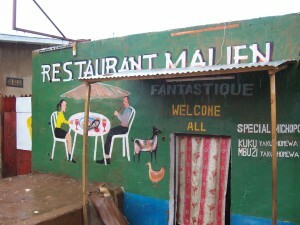 In Kigali, the capital of Rwanda you can see a lot of advertising, painted onto walls – bill boards are not common. 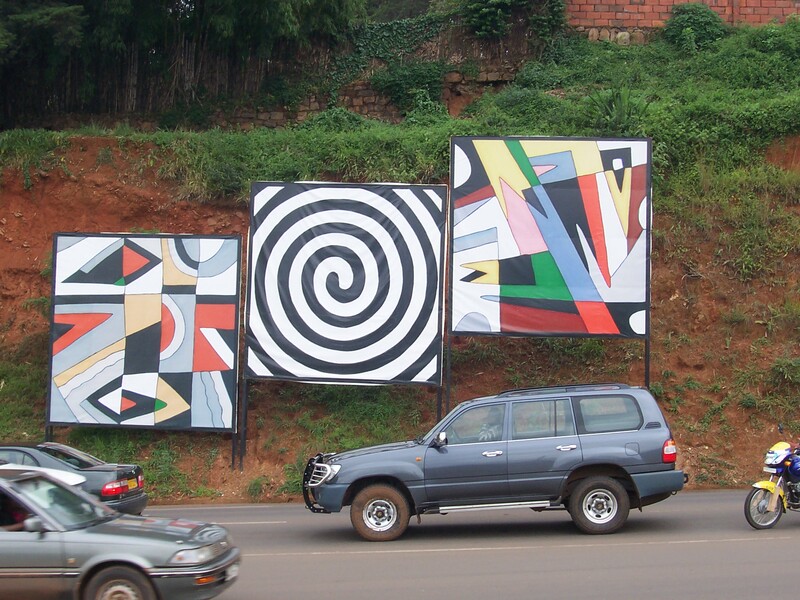 In the center of Kigali you can see this artwork bill boards. 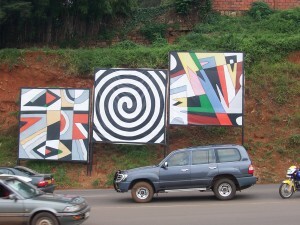 I was told, that these three boards are part of an ongoing art project, but I cant find out any details.